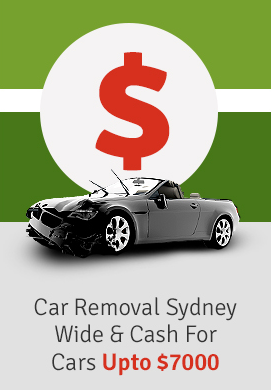 Get top dollar up to $7000 For You Unwanted Junk Car Removal Anywhere In Sydney! Worried on how to dispose of that piece of worthless junk! Did you know that you can earn some cash on it? Yes, now it is possible to earn up to $7000 on your old vehicles right at your door. We at Metro Car Removal offer you good cash for old cars and buy all models and makes, in any possible condition and in any suburb. We can reach your place as early as this afternoon and complete all paperwork and pay promised cash for used cars. Our towers are licensed, bonded, and insured and have necessary tools and equipment to offer reliable service in all Sydney suburbs. Call on: 0422 600 833 or inform us something about your junk vehicle to receive an instant quote. We’ve been offering cash for old cars in the city and have a network of well connected contacts. This definitely helps us in purchasing almost any type of vehicle; we know that we have the right contact to sell them at highest possible rates. That’s the reason why we pay highest price to our customers. Another reason to choose cash for old cars is that we purchase almost all types of vehicles, junk, new, or rusted, including all types of utes, trucks, vans, jeeps, bikes, 4wds, 4x4s, bikes, and even boats. So whatever vehicle you have, we will pay the right price for it. Selling process is very easy! You just need to contact us over phone or on our website. Inform us about your car and obtain a no-obligation free cash for old cars quote. Once you accept the quote, our towers will come at the time most suitable to you. We never charge any towing fee. So there are no surprises in store when you deal with us. We complete all paperwork on time and pay right on the spot. Our team members will also inform you of the correct procedure to hand over your number plate of your junk vehicle to the authorities. We not only pay cash for old cars, but also for numerous other types of vehicles in any suburb. Some of the vehicles we buy are in working condition. We always try to offer a genuine quote. So whether you have a junk jeep, truck, SUV, bike, 4×4, van or any other type of commercial vehicles, Cash for Old Cars will definitely buy it at TOP DOLLAR immediately from you, no matter what its condition or age. We even pay for vehicles torn into pieces! After arriving at your place in Sydney, we will also complete paperwork for free. We will also inform you of ways to hand over your vehicle’s license plate to the authorities. We have a team with vast experience in the motor industry. We have been providing accurate valuations for vehicle owners. We avoid methods such as Red Book and Glasses Guide for arriving at a quote. Instead, we prefer to send our team to your place to appraise your old vehicle and make an informed valuation. With a huge network of buyers of spare parts, we usually sell within this network, and offer best prices to our customers. We offer you FREE quote with onsite evaluations anywhere within hours. There are no catches in our unique process and we will assess your car properly and you will always receive the highest price, always in cash. Once site inspection is carried out by our experienced staff can tailor a formal written proposal designed to meet your needs. We provide the most economical and efficient solution available. If you have scrap vehicles or truck fleets, we can ensure their removals in bulk at attractive rates. Gone are the days when you have to scan tons of yellow pages, or call dozens of scrap dealers just to get an estimate on your junk car’s scrap value. We provide you an instant free cash for old cars quote! We can easily remove stranded junk vehicle from difficult areas as well. We are the cash for old cars service that makes selling your junk car easy and fast and never lets you down when it comes to making a GREAT OFFER that is of good value. We always arrive on time regardless of your location. There’s no need for you to be physically present there when we carry our removal.